Minivans have never been cool. Here’s a two-wheeled alternative. “E” is in right now. 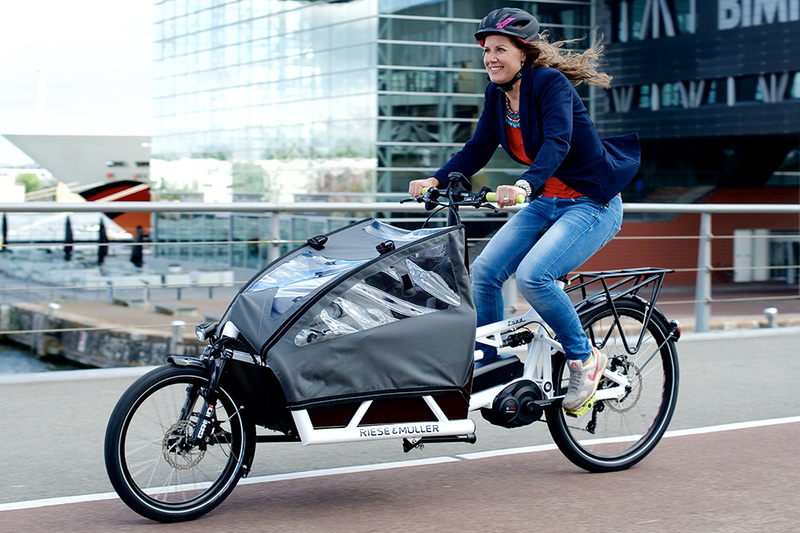 eBikes, eTrikes, and now, eCargo… bicycles, that is. 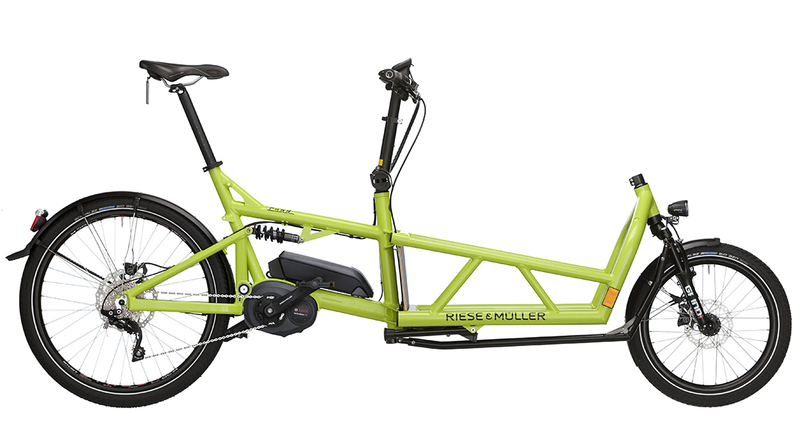 This spring, Riese & Müller unveiled what it dubs “the ultimate minivan of eBikes” with the (appropriately named) Load. 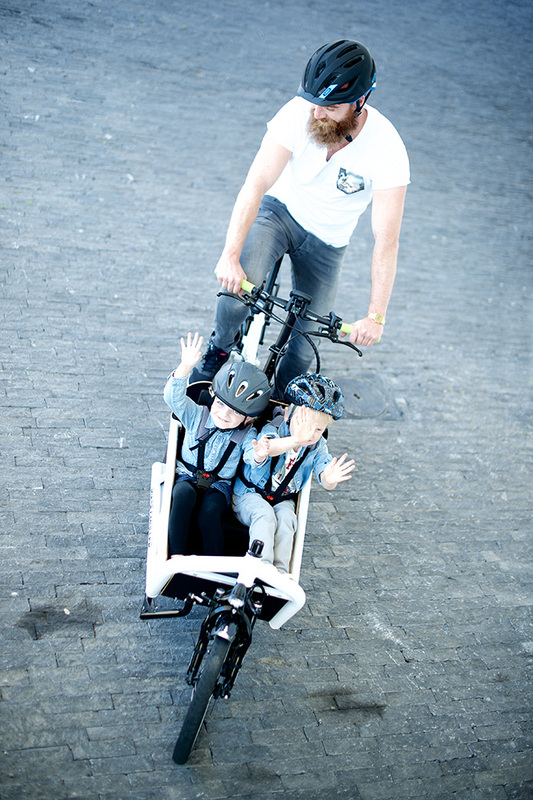 Unlike other cargo bikes, this rig has customization options and standard equipment that make it a reasonable stand-in for the family station wagon. Think full-suspension, two batteries, even a child-safety seat. First off, the standard equipment. The Bosch motor assist reaches a little over 15 mph with pedaling the 10-speed Shimano Deore XT drive. Front and rear lights, hydraulic brakes, a basic frame lock, and full suspension round-out the base build. 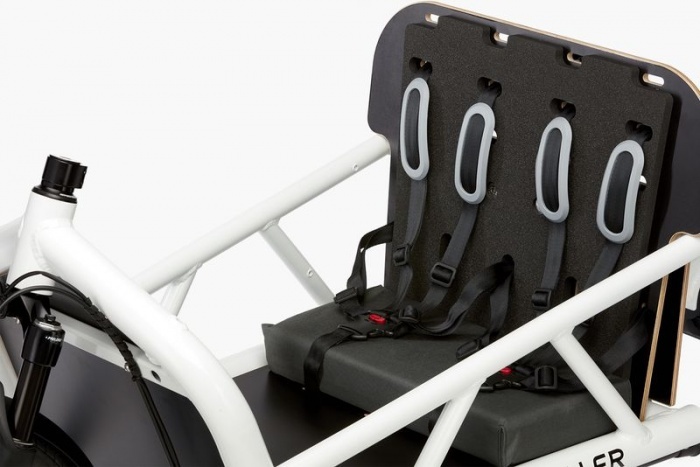 Without any options, the Load runs about $6,000 and weighs in just under 72 lbs. But, in for a penny, in for a pound. There are many different configurations and options above this. And if you really deck it out, here’s what you get. 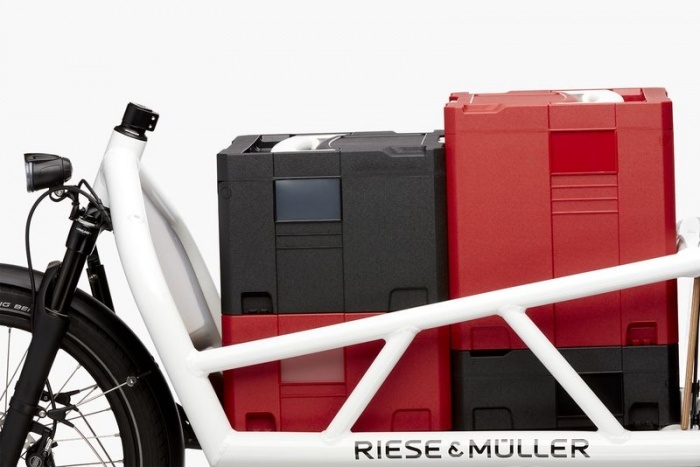 Riese & Müller claims the Load is the only cargo bike on the market that uses two batteries for pedal-assisted power. With the two-battery option, the Bosch eDrive system cranks out 1,000 Wh of boost. With full power, this cargo bike tops out at 28 mph. A removable double child seat with seat belts, rain cover, and side walls turn the grocery-getter into a take-the-kids-to-school mobile. Upgrade to a NuVinci N380 stepless shifting hub, touring geometry, and a luggage carrier, and you’ve got a bike that rivals a van in versatility, price, and weight. Fully “Load”ed, this eCargo bike weighs over 80 lbs. and costs about $9,200. But, it’s still cooler than a minivan. 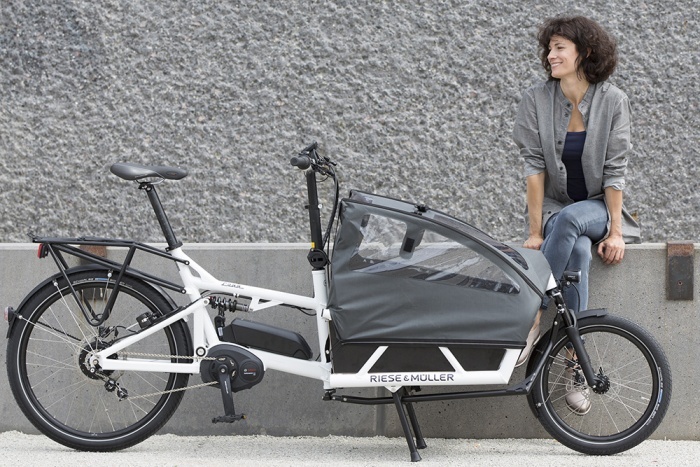 For those who want to get those groceries on two wheels instead of four, the eCargo looks like a solid new option ready to roll.